Mr. Tony Lauritzen has served as Chief Executive Officer of Dynagas LNG Partners since the inception. He has also served on the Board of Directors since the inception. Mr. Lauritzen has been the commercial manager of the Sponsor's LNG activities from 2006 to date. He joined the company when the first vessel was delivered in 2007. He worked for the shipowner and shipmanager Bernhard Schulte Shipmanagement Ltd. from 2004 until 2007 where he was project manager with a focus on the gas shipping segment. Prior to that, he worked for Westshore Shipbrokers AS in the offshore shipbroking segment. 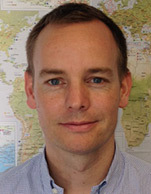 Mr. Lauritzen holds a Master of Science in Shipping Trade and Finance from Cass Business School, London from 2003 and a Master of Arts in Business and Finance from Heriot Watt University, Edinburgh from 2002.